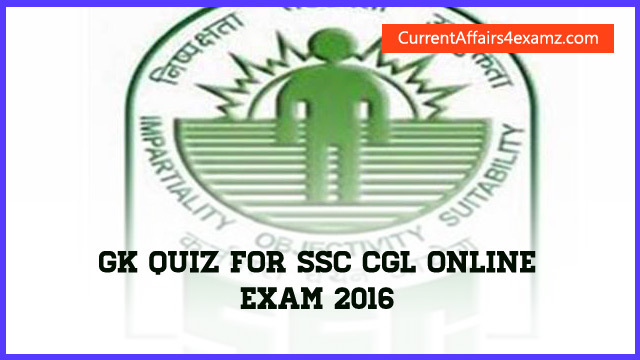 Hi Aspirants, here are some useful GK Questions for SSC CGL Exam 2016 scheduled to be held from 27 August 2016 to 11 September 2016. 1. What is the currency of Ecuador? 2. Who among the following established the Bhil Seva Mandal in 1922? 3. Which among the following apparently impressed Jahangir to issue a farman in 1613 A.D. to the English to establish a factory at Surat ? 4. Who is the present Union Rural Development Minister of India? 5. Which is the capital of Turkey? 6. 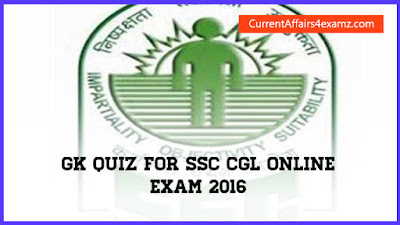 Which among the following was the first Presidency of British East India Company in India ? 7. Who among the following preached the doctrine of “One religion, one caste and one God for mankind“? 8. Ladakh Festival is celebrated at which of the following state? 9. International Day of Peace was observed on? 10. Which country has declared, Cow as their National Animal?